Photos taken on Wednesday, March 7, 2012. 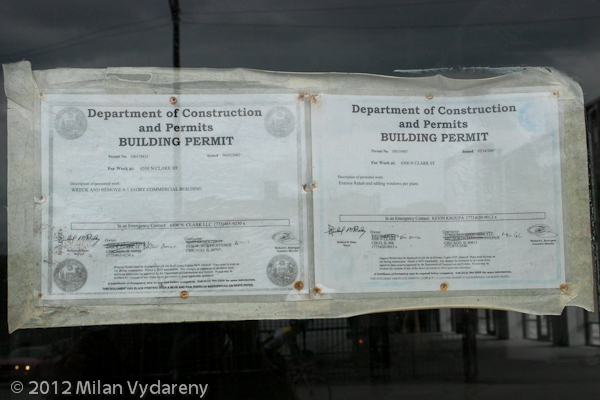 City of Chicago building permits in a street level window of Clark Point Plaza. The dates are both 2007 and do not relate to any library construction.